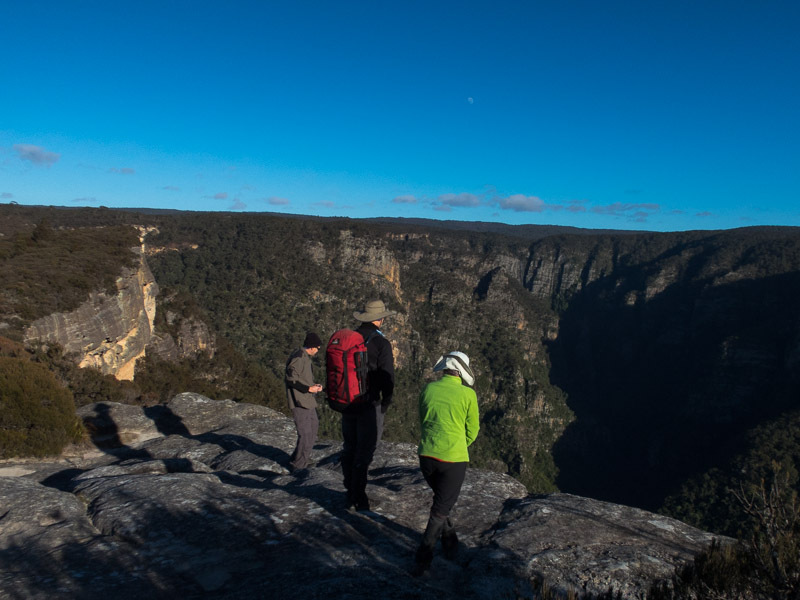 I organised a weekend trip in the Kanangra-Boyd Wilderness with SBW. I had a lot of takers, probably because it was a Q (Qualifying) walk for Prospective Members of the club. 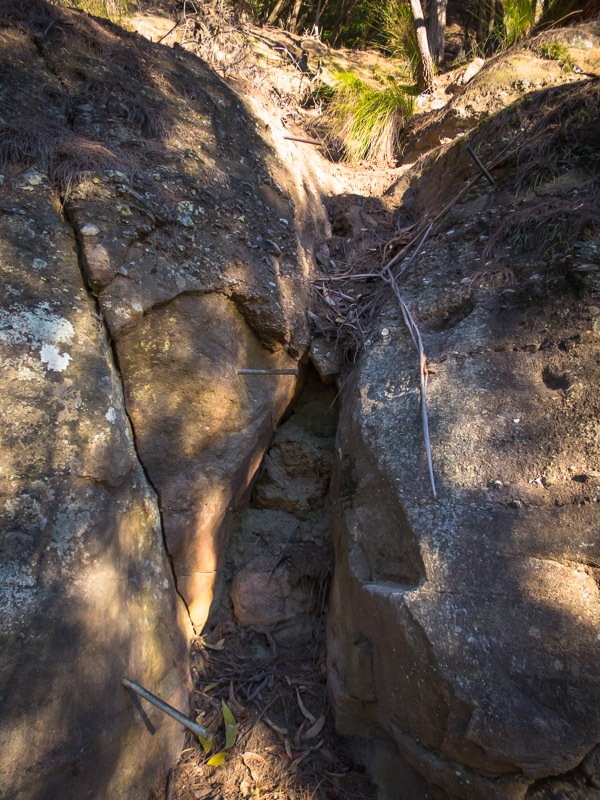 Despite being full weeks in advance there were a number of pull-outs (including Tom – now blacklisted!) so in the end there were 6 in the group which was a good number. 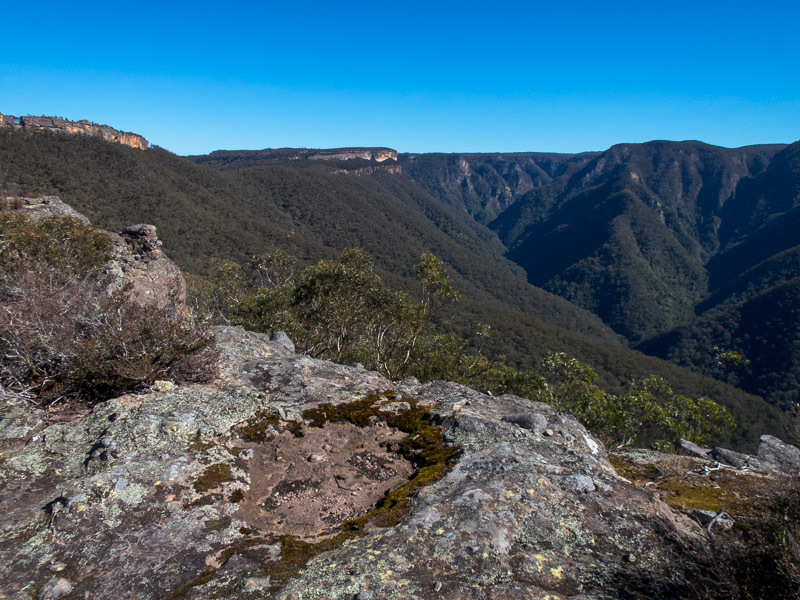 Our route took us from Kanangra Walls Lookout out to the plateau. 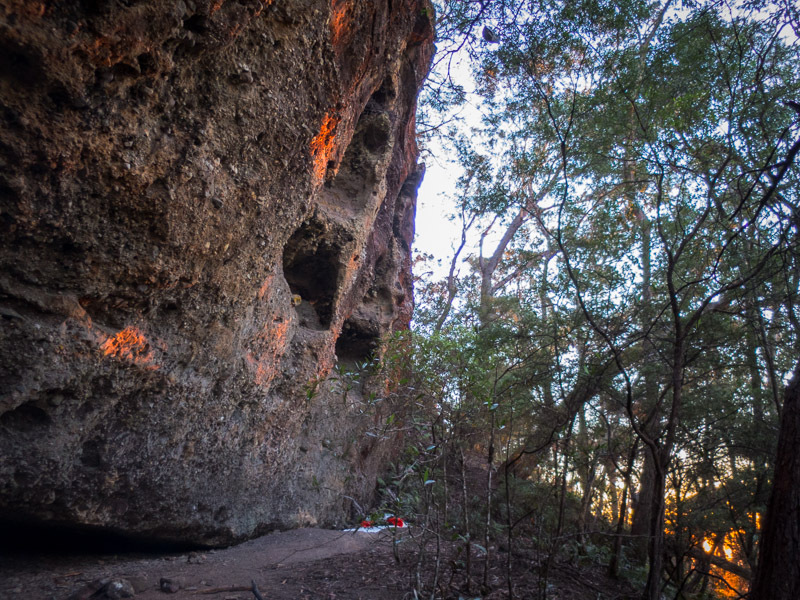 We had made very good time initially and had an early (9am) morning tea at Cottage Rock. 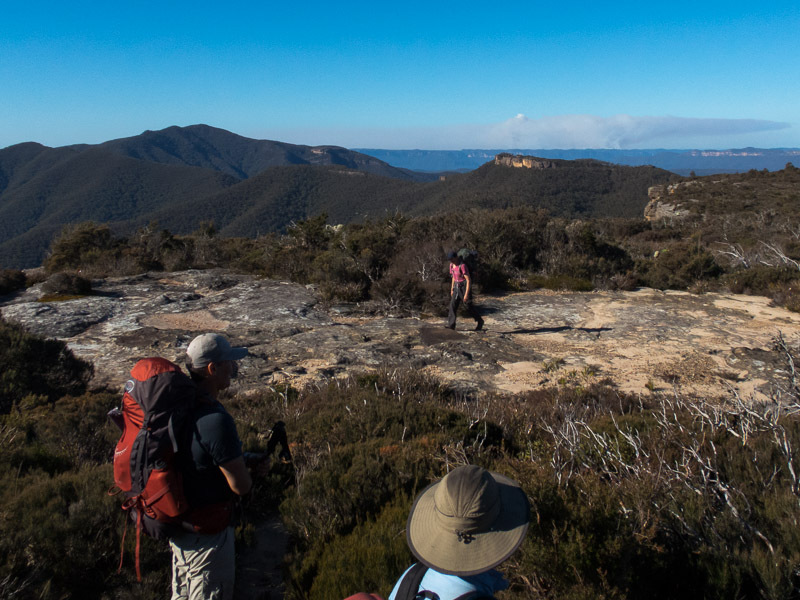 We had a second morning tea at the Roots Ridge turn-off before continuing down Gingra Range. 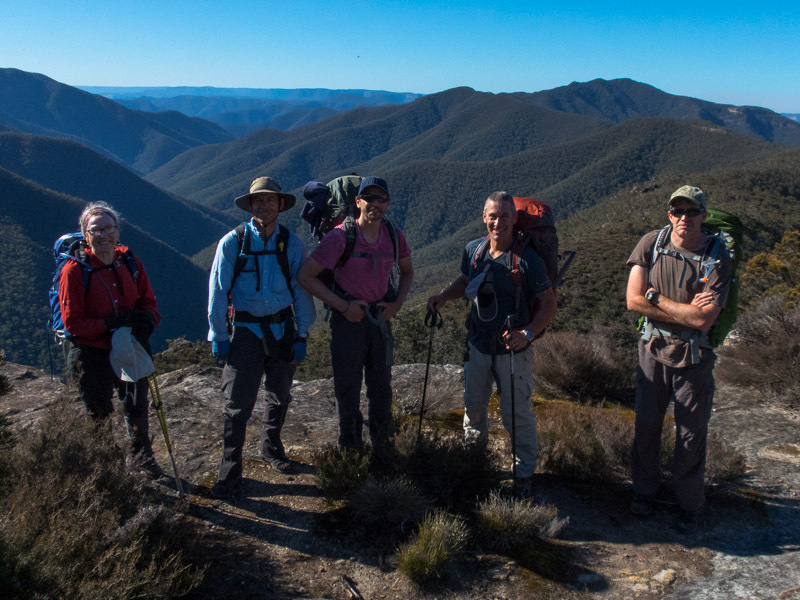 A slight navigational error on Fourth Top gave the group an extra 120m of ascent/descent, for which they were highly grateful, before we had lunch on the ridge between Fourth and Fifth Top. 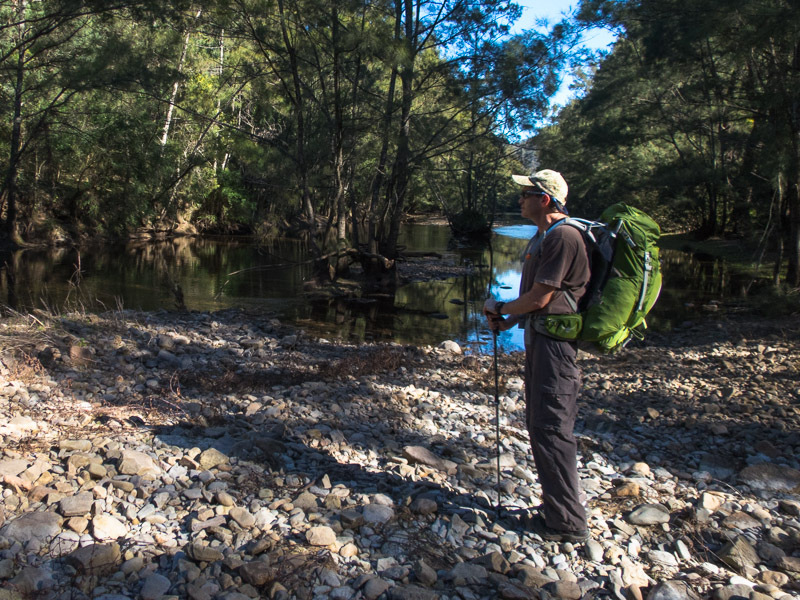 After lunch we descended to the Kowmung River where we filled up on water for the rest of the trip. 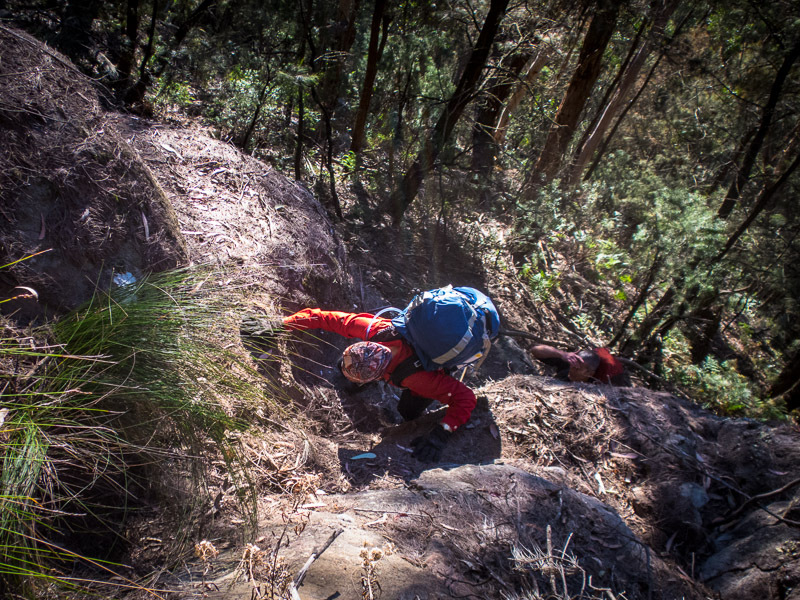 With considerably heavier packs the last couple of hours were a 650m slog up Willa Spur. 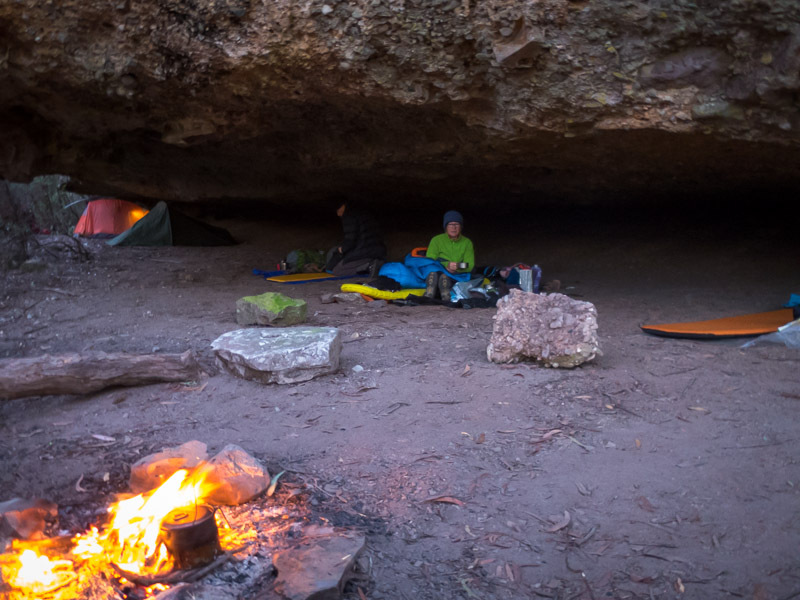 We made camp in a nice cave just on 5pm. Wagyu biltong was the highlight of happy hour (Tom wished he’d come along after I told him about that). I threatened no one was allowed to go to bed before 7:30pm and despite the solid day in the legs we all made it through till 9pm! 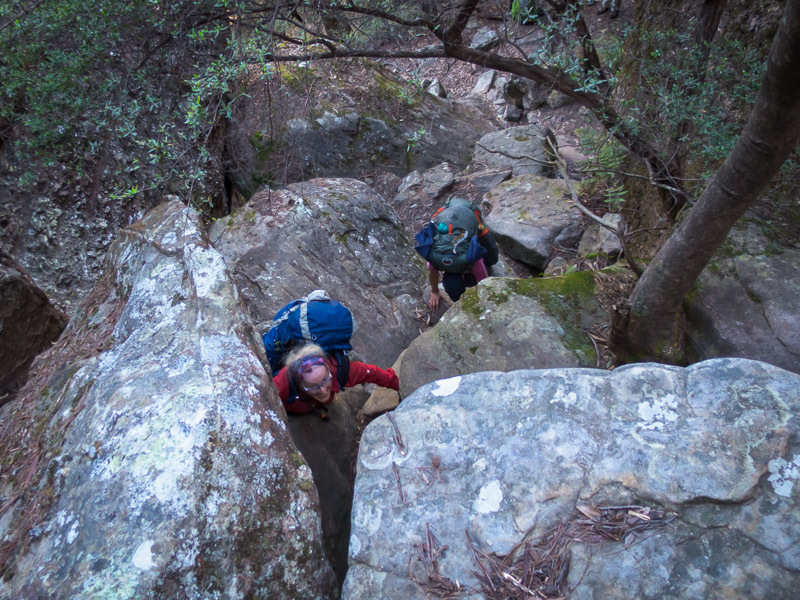 The first task of the morning was ascending Compagnoni Pass. 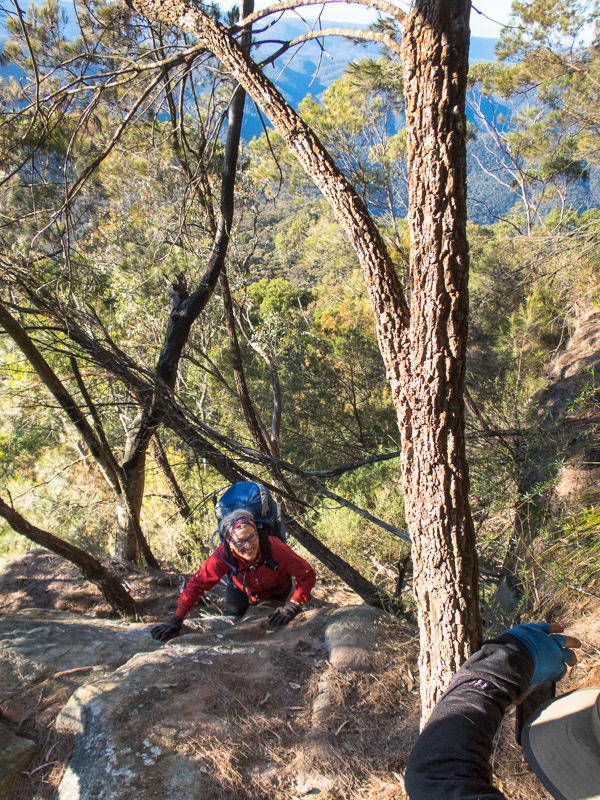 It would have been a much simpler ascent if the rock wasn’t covered in Casuarina needles. 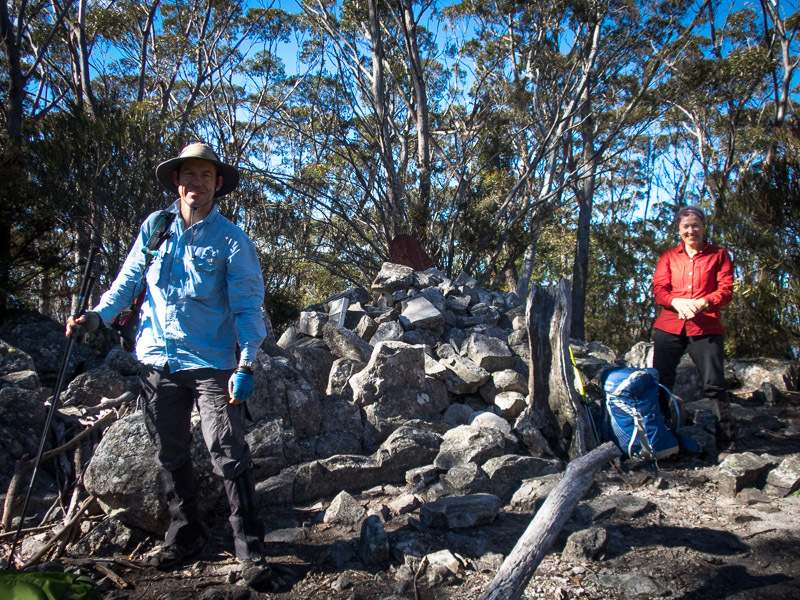 From there we traversed Ti Willa Plateau before having morning tea on Cloudmaker. From Cloudmaker we were in well-trodden territory and it was straight-forward, if undulating, walking for the rest of the day. Almost back to the cars. Seasonal burn-off smoke in the distance. We made it back to the cars at 3:15pm. An excellent weekend in beautiful country.